Palais Schönburg lies in the heart of Vienna and is surrounded by 15.000 m2 of private gardens. Located in the 4th district, also known as 'Wieden', Palais Schönburg is only 1km (0.6 miles) away from the main sites of Vienna, i.e. Vienna State Opera House, Palais Belvedere, etc. The current owners Gertner Immobilien GmbH, have extensively renovated Palais Schönburg and its gardens and the renovations were completed in 2008. 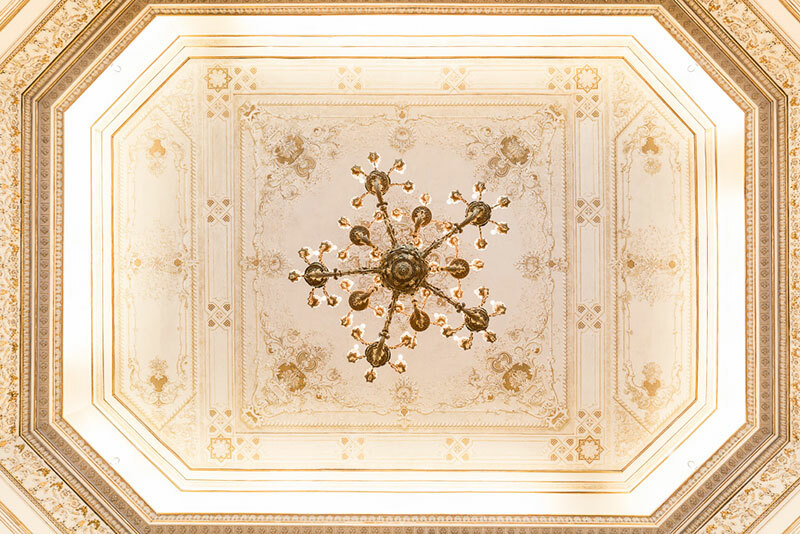 The Palais is back to its former splendour and offers exceptionally beautiful surroundings for any event. The main building has external dimensions of 40 x 14,5 x 15 m (L x W x H) and is surrounded by a stunning 15,000m2 garden. The main entrance for guests is via the front driveway. The entry to the building itself is comprised of almost an 9-meter high entrance hall. From there, you can access the Souterrain (lower level) and via two grand staircases one can reach the rooms on the Beletage (upper level). The Souterrain offers approximately 140 m2 space and the Beletage approximately 335 m2 (see rooms) The library, as well as the lounge on the ground floor, can be hired separately. The lawns on either side of the building cover approximately 1,500 m2 of grounds and are also suitable for marquees for up to 500 guests. 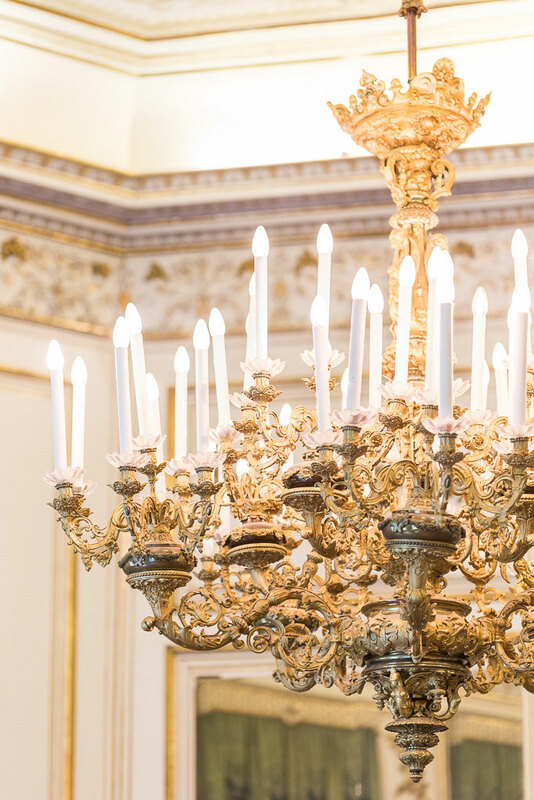 Palais Schönburg is fully air conditioned and heated throughout. It is amply equipped with event technology such as video and audio systems, an elevator, and numerous other useful features such as W-LAN. The Palais has high voltage connections in the main building and in the gardens. In compliance with official regulations, smoking is only permitted in the lounge. After the second Turkish siege (1683) several baroque garden palaces were built in the Viennese outskirts. The Schönburg Palace (formerly Starhemberg Palace) is among the few still remaining today. The initially bare Schaumburg grounds on the Wieden belonged to the Starhemberg family since 1450. 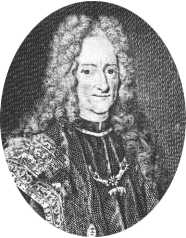 Count Gundacker Thomas von Starhemberg, half-brother of Count Ernst Rüdiger, who had defended Vienna in the second Turkish siege, enlarged the property at the beginning of the 18th century by acquiring additional land parcels. He appointed Johann Lukas von Hildebrandt to erect the garden palace in 1700. 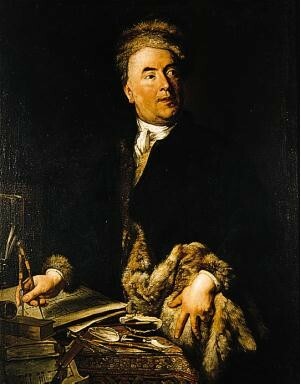 In 1811, the premise was sold to the Hungarian kings cupbearer, Count Joseph Nepomuk Keglevich von Buzin. The latter commissioned the architect Franz Jäger junior with converting the Palace into a building in the Empire style. A library hall was created and the buildings single storey lateral wings were raised by an additional floor. 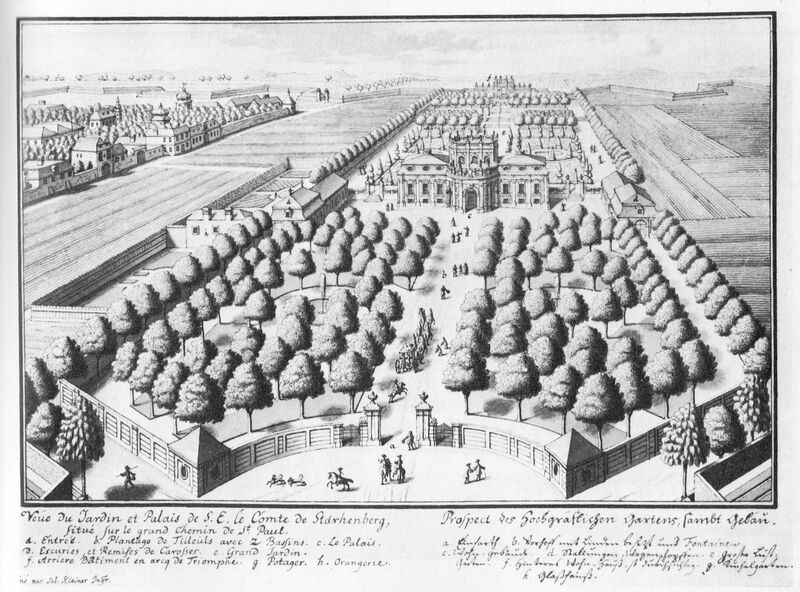 The mansard roofs were replaced with tiled roofs, and it is likely that the former French garden was remodelled into an English garden at that time as well. 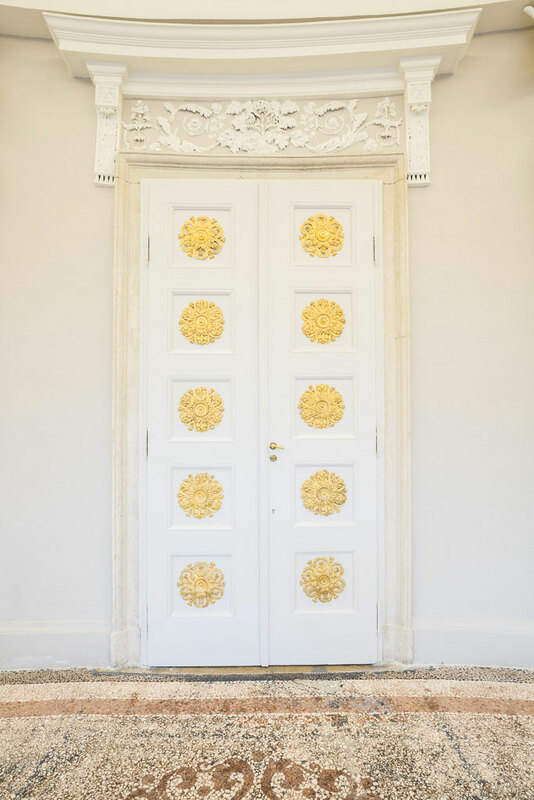 In 1841, the Palace was acquired by the Counts Schönburg-Hartenstein who altered several rooms, to save the library. In the 1970s the property was divided among three heirs. Two thirds were at first sold to the now defunct Conti Bank and later to the entrepreneurs Danek and Marian Gertner, who in 1979 bought the remaining third from Caroline Schönburg-de-Laserna, thus becoming the premises sole owner. The Palace belongs presently to the Gertner Immobilien GmbH. Today, the three storey Palace consists of a half-cylindrical central risalit with a concave frontal facade facing the street, as well as of two extending triaxial side wings at either side. Lukas von Hildebrandt had built the imposing, curved central street-front with several arcades as an open passage-way for carriages. Those were probably closed in the course of the buildings rehabilitation in 1841 and converted into an elegant, classicist Empire style vestibule. The former central arcade ingress serves as a main entrance today. The central risalits attic is framed by a two-storey balustrade decorated with figures. 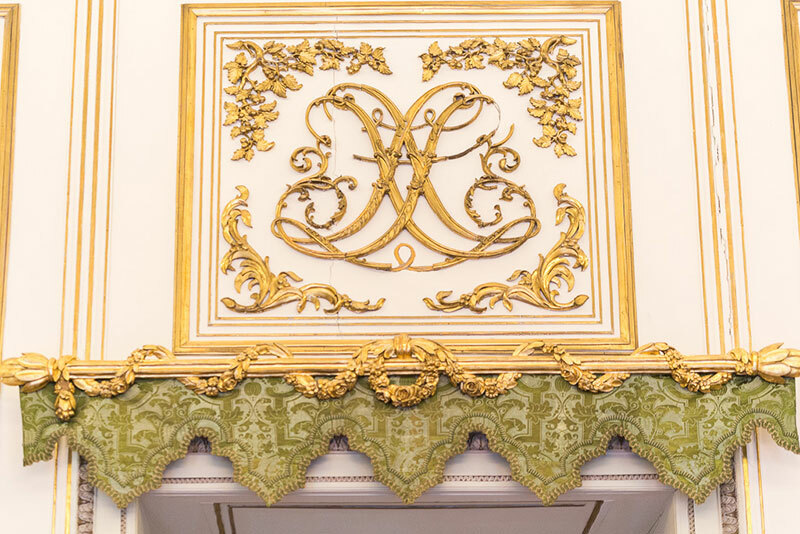 The Palaces most representative rooms are the octagonal ballroom on the first floor (the Beletage), the adjacent library with its unique inlays and finally the vestibule with its oval double staircase. Many rooms are in the Empire style. The library, built by Count Buzin, dates back to the early 19th century, while the remaining rooms were designed in the mid-19th century under the Schönburg family. The park and the ballroom are connected through a narrowing, free-standing double staircase. The two stone sphinxes framing the propertys entrance are vestiges from the original baroque garden as represented in Daniel von Hubers "Viennas Scenography" and Salomon Kleiners etchings.